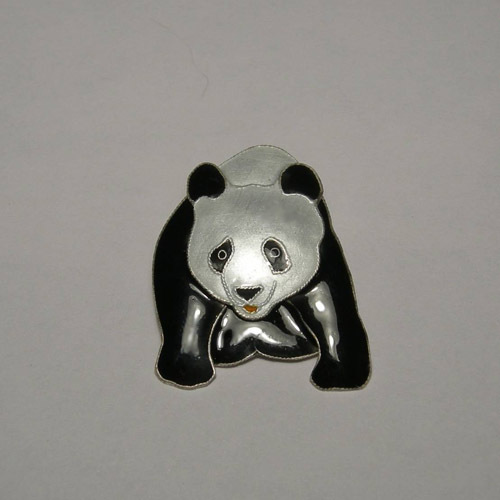 Desc: Sterling Silver enamel Giant Panda pin. The Panda is in the seated position. The pin is fashioned from Sterling Silver with enamel on the front of the piece. The pin has a bright polish finish.